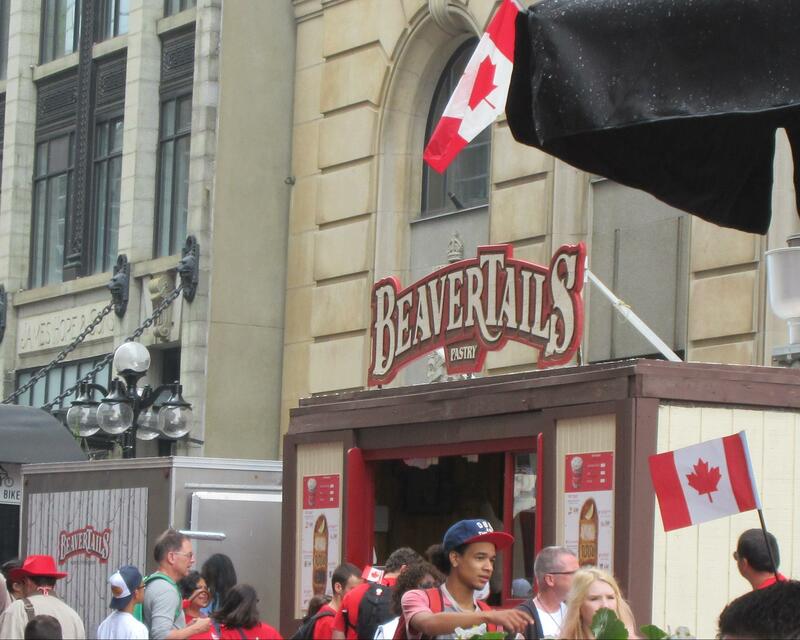 With Ottawa in the rear-view mirror it’s time to reflect on our visit, to discuss the highs and lows, to contemplate all the capital had to offer and to ask – what is it with all those Beaver Tails trucks? The place is crawling with them. It’s bad enough our national animal is a buck-toothed rodent but why give visitors the idea that we eat their tails. Yuck! 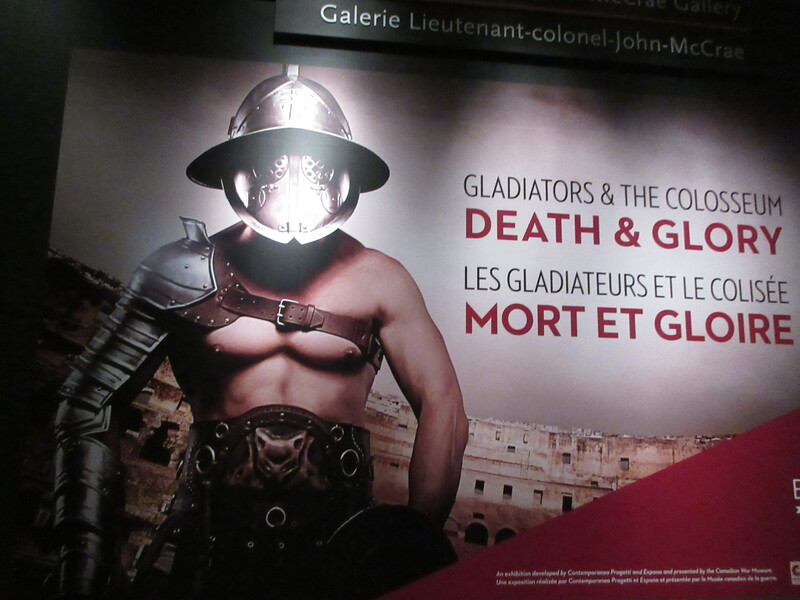 Ottawa’s comprehensive war museum is a must see for all ages. A huge complex divided into four sections–early wars, World War 1, World War 2 and the Cold War—it has plenty of big guns for those out there with little guns and interactive displays for the little kids and the little kids with facial hair. The take-away is that humans are predatory and violent and we never learn. The second take-away is that women need to take over the world so the museum will never have the opportunity to add a 5th section. 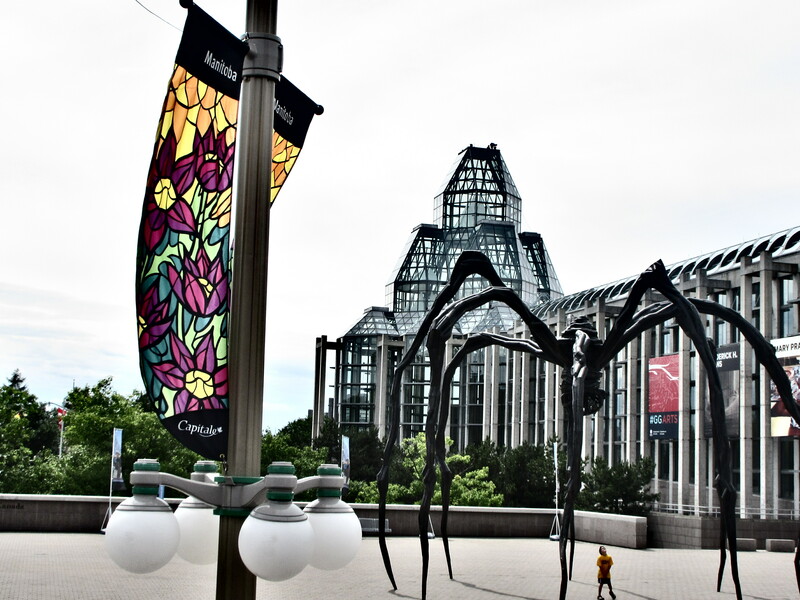 The museum is a rambling affair, spacious walkways and massive windows overlook the Ottawa River and Parliament buildings. One river – two worlds. The highlight for us was the special Terry Fox collection. 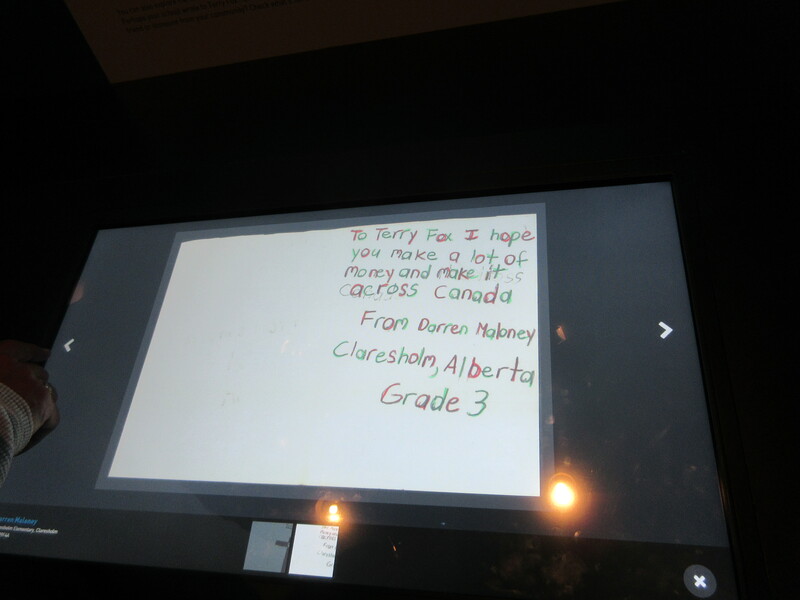 Filled with artifacts from his aborted run across Canada, including the chase van that followed him, it was a treasure trove of memorabilia including a computerized collection of every letter, card and postcard of encouragement sent to him that can be accessed by town or name or school. A quick scan and we found a card written by The Dude’s nephew Darren Maloney to Terry all those years ago. 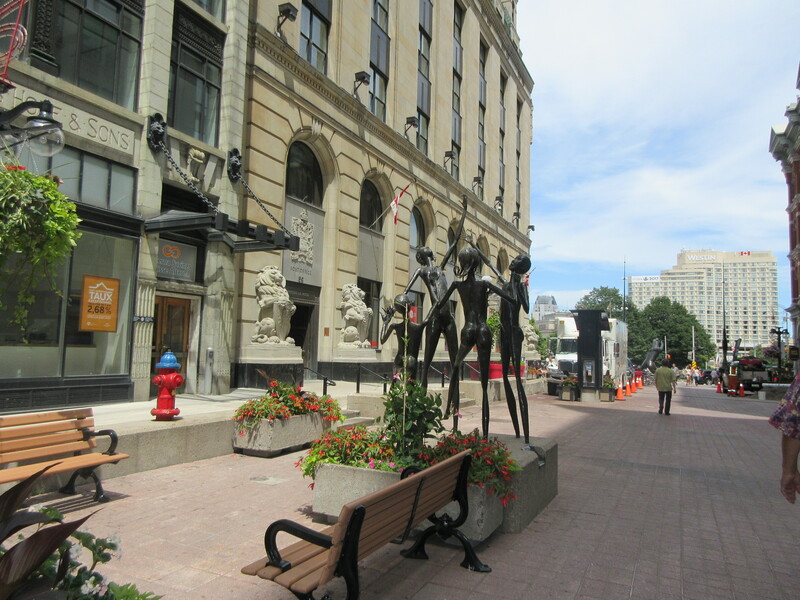 Walking the streets of Ottawa is like a gigantic history lesson. Beautiful stone buildings hundreds of years old nestled next to a Subway store. Somehow it works. The renovation industry is booming here. 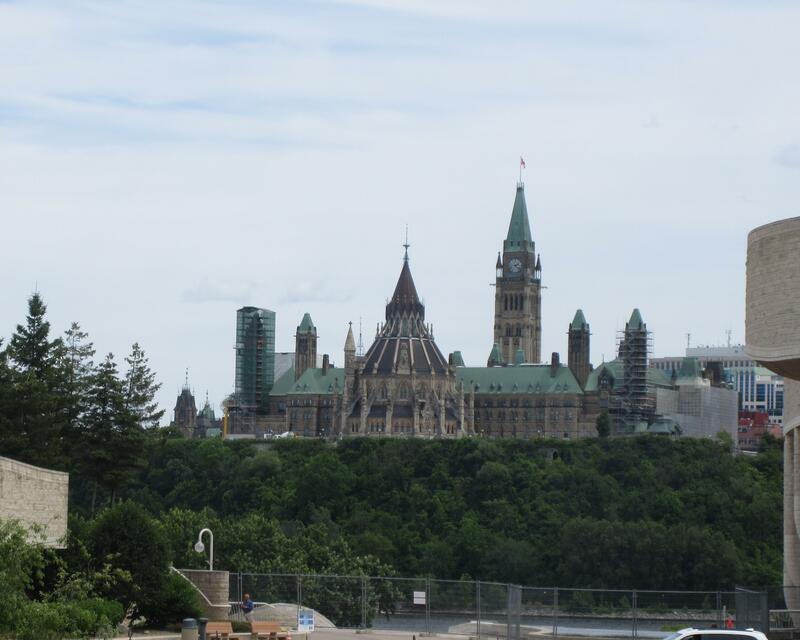 Scaffolds abound as workers toil away keeping Canada’s image untarnished by the years. The problem with historic buildings, is that like an old house, they need constant repair. Of course my house repairs aren’t funded by tax dollars, but I digress. 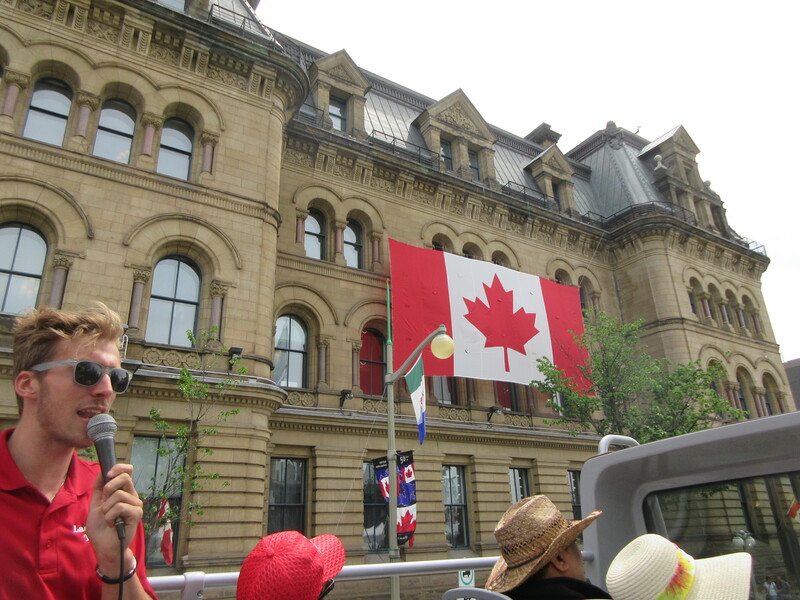 A double-Decker bus tour of the city, like wearing socks to your knees, a Tilley hat and a fanny-pack, separates tourists from the Ottawa bureaucrats. The driver pointed out where the Prime Minister’s office was, in a historic baroque style building with windows facing out on the streets below, no fencing, and no armed guards. Just a beautiful old building on a corner. 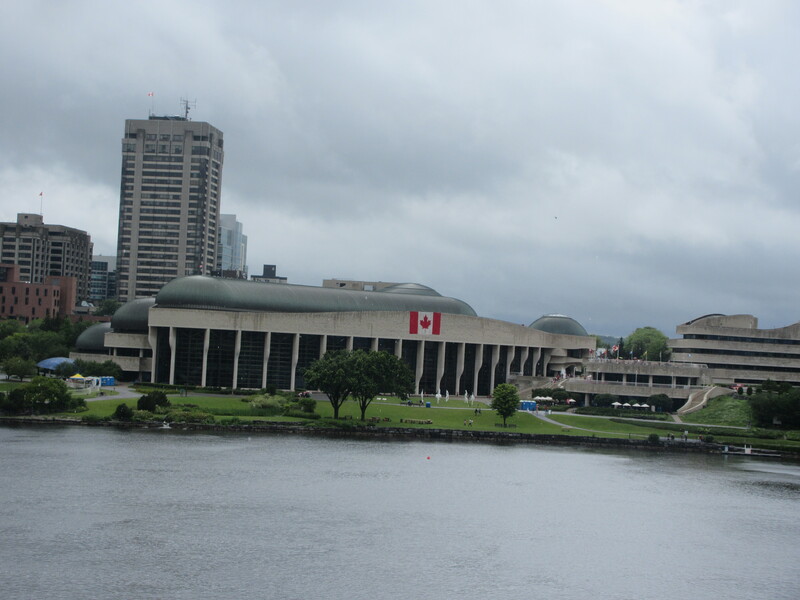 Driving into Ottawa on Canada Day from our campsite off Bank Street in the village of Greely brings to a disturbed mind Joseph Conrad’s iconic novel Journey into the Heart of Darkness. A straight shot through the city’s development, Bank Street starts out like a drive through Surrey—car dealerships, strip malls, fast food places—before narrowing into a two-lane neighbourhood thoroughfare with the one- and two-storey brick buildings of the old downtown and finally ending at the Nation’s seat of power. Unlike Conrad’s hero, immortalized on the silver screen by Martin Sheen in Apocalypse Now, the intrepid traveler is rewarded not with headless corpses and a mad, bald Marlon Brando mumbling “The horror. 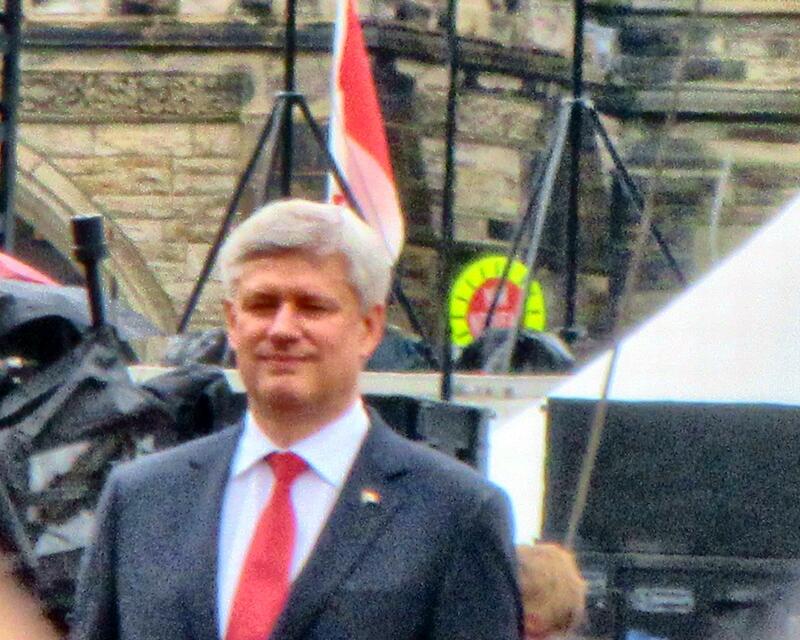 The horror.” but instead with all the trappings of civilization and an immaculately coiffed Stephen Harper, hands clasped below the waste as if protecting his privates, stomach slightly distended beneath an ill-fitting suit, mumbling patriotic platitudes to the masses. Meandering Maloneys strike again! Love the blog. Next stop? 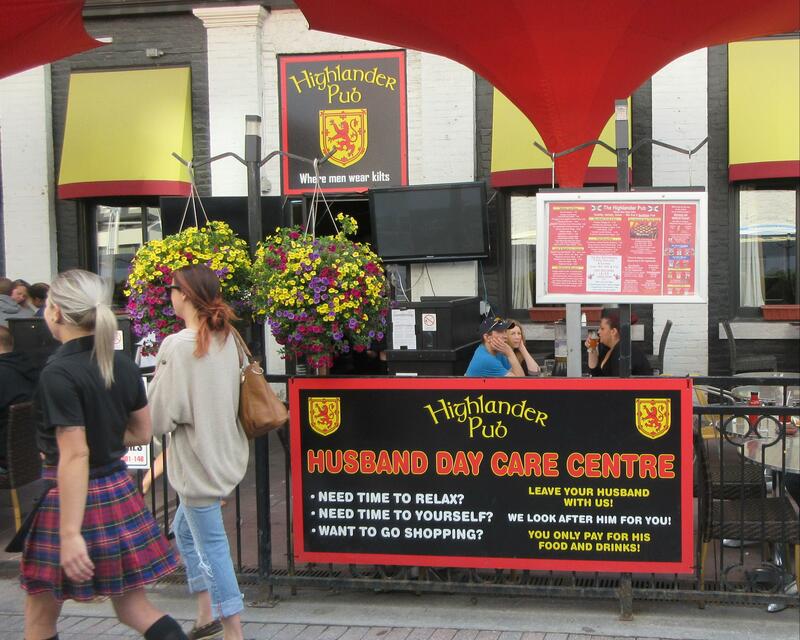 My Mom is ready for you guys – she’s written up some historical sights for you guys. Miss you – totally enjoy every new edition of your meanderings! Merci Madame Blondie. We are now in La Belle Provinceâ¦.The Dude is all about the Montreal Smoked Meat and me trying Poutine for the first time. Oh and all the great stuff Quebec has to offer. We will look forward to seeing your Mama sometime soon.